Baby boomer employees who leave the workplace without sharing tacit knowledge create an irreparable knowledge gap within the organisation. According to Dr Rhonda Corwin, as baby boomers exit the workforce they take with them critical aspects of human capital that inexperienced generations do not have. Dr Corwin, in her doctoral study at Walden University, aptly titled Strategies to Retain Tacit Knowledge From Baby Boomers, examined the negative effects of baby boomers retiring from the workforce without transferring their tacit knowledge to an intergenerational staff complement. Explicit knowledge specifies the process dealing with how to organise knowledge, whereas tacit knowledge implies the practice that refers to how individuals engage in work-related tasks. Managers should keep older workers and not wrongly assume that investing in the training of older workers yields a poor return on investment, the research report explains. John Solari, an experienced, accredited accountant and managing partner of JA Solari & Partners, agrees with the study’s findings. “Many companies now face the prospect that an incredible wealth of institutional knowledge will be exiting their company over the next several years as these boomers ride off into the proverbial sunset, Solari says. “Losing knowledge might seem like a minor issue in a world awash in information, but organisational experts who have studied companies extensively differentiate distinctly between knowledge and information. 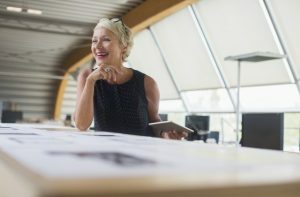 Ageing baby boomers want to do meaningful work, mentor others, learn new technical skills and use the experience to produce purposeful work. Most baby boomers remain loyal to organisations when offered flexible choices as retirement approaches. Baby boomers eligible for retirement remain fundamental to the organisation in a manner similar to high-quality new recruits. New employees and retirement-eligible employees are two groups with the highest turnover rates. Some baby boomers may be almost irreplaceable, Solari warns. Their relationships with clients, technical expertise or strategic vision could be virtually one of a kind.